April 18, 2017 2:52 pm. THE ATC Champagne Stakes is a Group 1 race for two-year-olds at set weights over the 1600m distance held every year at Randwick Racecourse. First run in 1861, the $500,000 Champagne Stakes was once the premier sprint race in Australia before it was overtaken by much richer races such as the Golden Slipper. The Australian Jockey Club decided to change the distance of the Champagne Stakes to one mile in 1972, which created a third event for elite two-year-old horses in the country. The race is now considered part of the Juvenile Triple Crown alongside the Golden Slipper and the Sires Produce Stakes. After placing third in the Sires’ Produce Stakes Castelvecchio is the $3.50 favourite at online bookmaker Sportsbet heading into the Champagne Stakes. Loving Gaby ($4.50) is on the second line of betting while Chenier ($5) is on the third. Kiwi import Probabeel is at $5.50. The race has taken somewhat of a backseat after the fanfare of The Championships, but any bookmaker which takes itself seriously has markets up at least a week in advance of the race. The cream of the crop in terms of two-year-olds battle it out in the Champagne Stakes, and invariably the standout performers are already in the public eye prior to the running of the race. It has been a favourites race over the last decade. Exactly half of the runners from 2006 through to 2016 have taken out the Champagne Stakes as the favourite going into the race, with the average price being just over $3. In the five times the favourite has failed to win the race, the top elect has missed the placings just twice in that time, highlighting how accurate the market usually is for the Champagne Stakes. Even when the favourite goes down, it is very seldom that a double figure winner takes out the race. Only four winners have taken out the Champagne Stakes at a price of $10 or more since 1983. After a number of highly promising lead in runs to this event Castelvecchio loomed large to claim the Champagne Stakes in style. Settling towards midfield the winner couldn’t have gotten a better run in transit and absolutely steamrolled the field in the latter stages to win by just over three lengths on the line ahead of the other cheif contender Loving Gaby. Damien Lane and The Mission did it for Newcastle trainer Paul Perry, proving too strong for an all-star cast. After getting out of the gates fairly, The Mission lead most of the way to beat home the odds on favourite – Invader. The Mission was paying $9.50 but there was a bit of money late. $6 chance Whispered Secret was a neck away in third. It was Perry’s first victory in a group one race for eight years, with the last being Newport in The Metropolitan. Read a full report. Prized Icon went off as the short-priced favourite in the 2016 edition of the race, and few would have been panicked when El Sicario set a red-hot tempo from the outset, effectively giving the horse something to chase. Glen Schofield had to bustle the colt along early in the straight but it was never troubled, recording a comfortable one length win on the line. Read a full report. 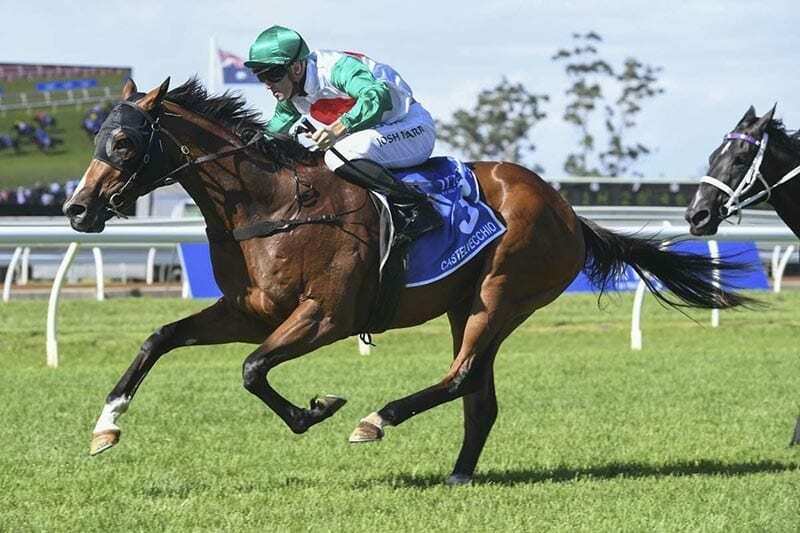 Pasadena Girl was the $2.80 favourite for the Champagne Stakes in 2015, but on a softer track many a punter were worried about the filly’s ability to make up ground from the back of the field. Hugh Bowman unleashed the gun Peter Moody runner on the outside and it quickly gobbled up the field to record a spectacular win. Go Indy Go was looking to back up its Sires Produce Stakes win in the Champagne Stakes, but the market suggested it faced an uphill battle at the $7 quote. The horse was last at the turn but Chad Schofield steered it to the outside and Go Indy Go did the rest. The filly completely outclassed its rivals to record an excellent one length win. Guelph came into the 2013 Champaign Stakes as the $2.50 favourite to back up its strong Sires Produce win, but after Fuerza pinched a massive lead into the straight it looked like it would take something special for the filly to run it down. The star Exceed And Excel product produced exactly that to pinch the race in a photo finish which is one of the greatest Champagne Stakes finishes of the modern era. The Champagne Stakes has been mostly a favourites race since 2010, which means the punters have had a field day over the last decade. Being a juvenile race, it is always good to follow the well-bred horses coming into the Group 1 race, as they normally hold a good account of themselves heading into the latter stages of the autumn. Check back closer to the Champagne Stakes for more in-depth odds.